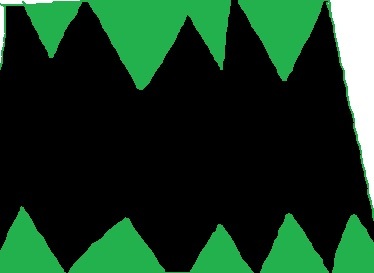 When I was fifteen, I was almost killed by a monster truck named Reptoid at a monster truck rally. 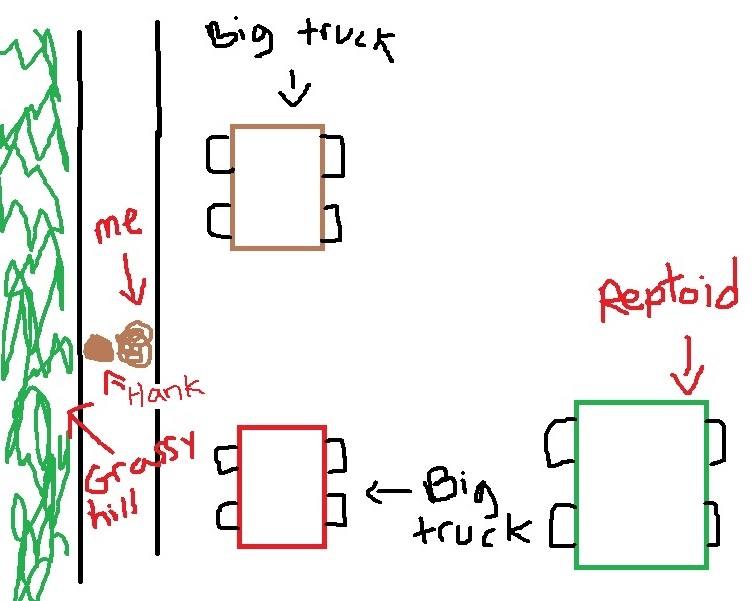 I was there with a high school boyfriend we’ll call Hank who had a deep love for large trucks. And since I had a deep love for belonging to cliques, I feigned awe of anything my boyfriends liked back then so that I could sit with their friends at lunch. 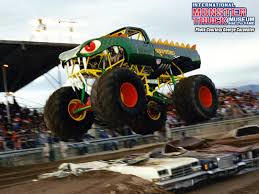 Therefore, during my sophomore year of high school, I loved monster trucks (the year before it had been goth and pot, so I think the trucks were at least a step in the right direction). After the monster show, Hank wanted to wander around outside the arena in hopes of seeing some of the monsters up close. 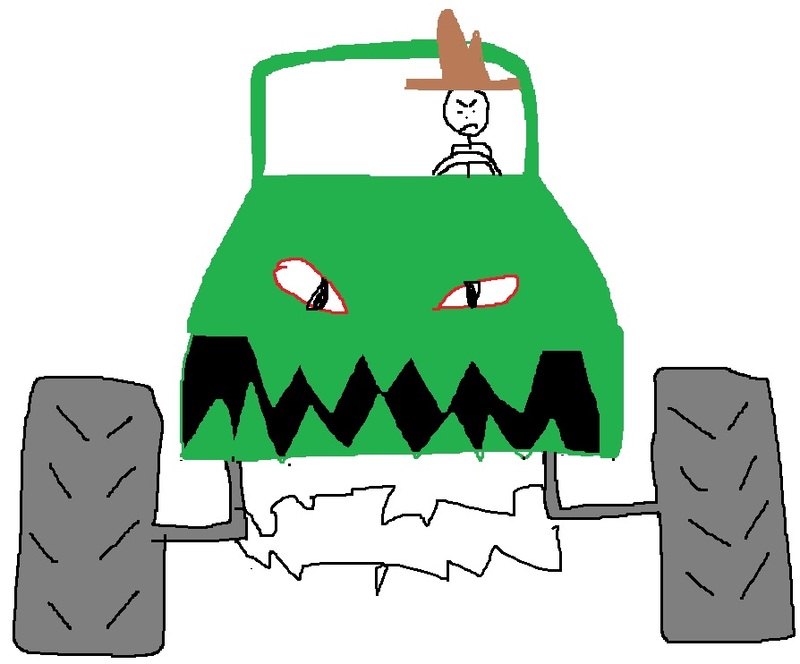 I didn’t have much hope for this plan, as I assumed the monster trucks must have a private parking lot in which high school kids were not permitted to enter. But as it turned out, there actually was a spot in which all the trucks were parked and spectators could get close to the machines. Except for one truck wasn’t parked. And it decided to drive over my body. It would seem from the diagram above that I was in a “safety zone”. This was not so, dear readers. 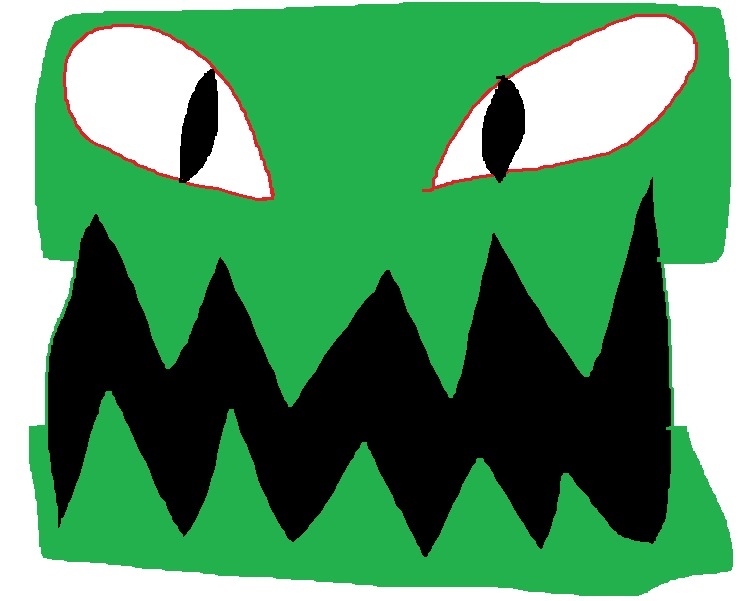 There is no safety zone to men who drive trucks with faces and claws painted on the bodies. All zones are “I-don’t-give-a-rat’s-blank-about-safety zones” to these drivers. 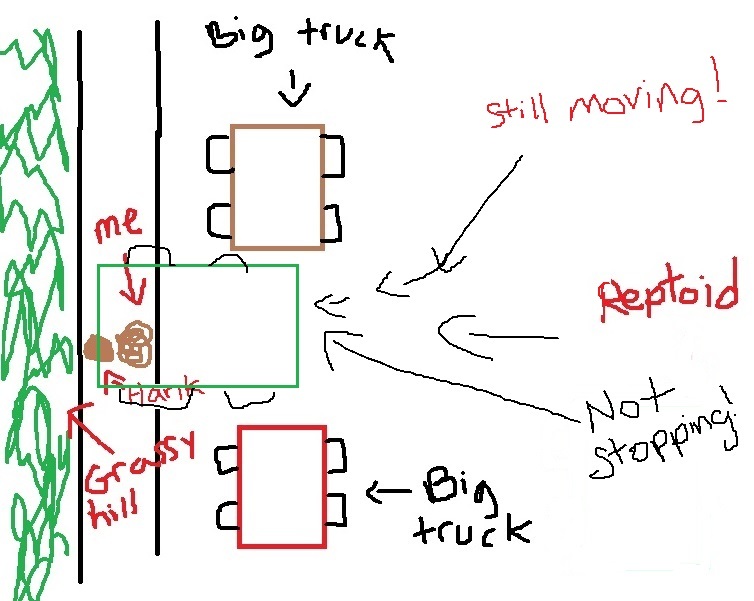 And so, when Reptoid decided that he wanted to turn his truck around using the simple three-point-turnaround maneuver, he didn’t let his mind worry with the fact that children were walking on the sidewalk close to where he intended to drive his truck. Nor did he care that children were walking on the sidewalk when he decided to drive onto the sidewalk and up the hill. This was no innocent three-point turnaround. This was manslaughter. And I stared death in the face, people. 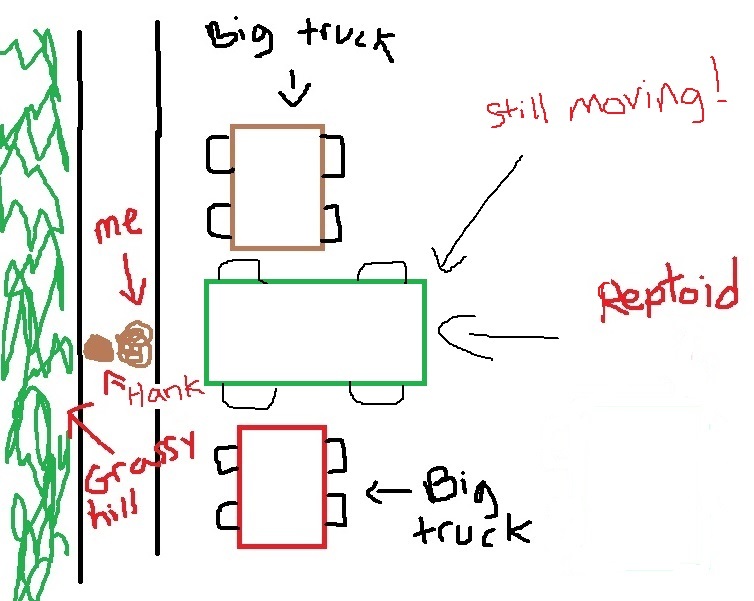 But in the second before Reptoid ran me over, Hank came up with a plan. 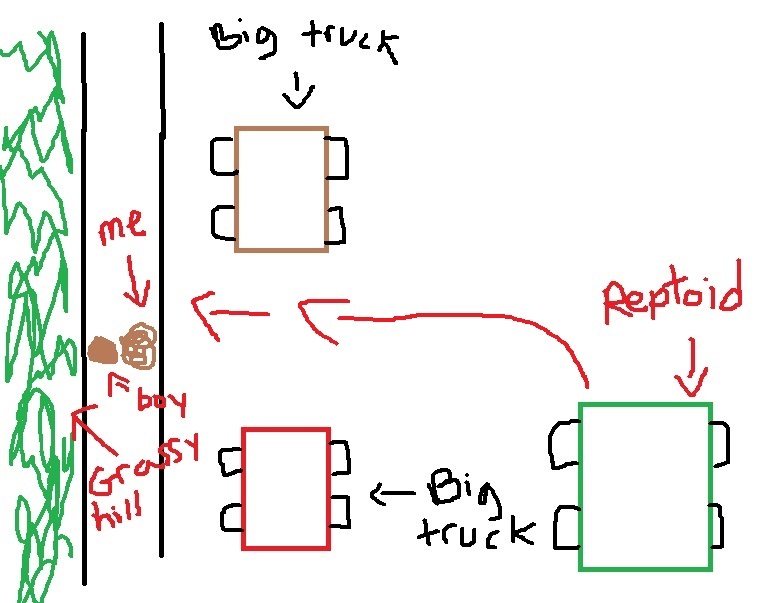 The plan involved dragging me up the hill by one arm while being chased by a truck with fangs. On one hand, if I died that night, it was going to make a really good story. On the other hand, I wouldn’t be at school the next day to talk about it and get all the attention, so I decided to just fall limp and allow Hank to drag me up the knoll like a sack of feed. And as it turns out, I’m glad I chose the sack of feed route. So So funny!!! Thank you! No, Monica. You mean so so scary. How do I forward a copy of this to “Hank” who is still as hard headed as ever and doesn’t have FB?